Every year, more and more couples decide to travel to glorious Spain and it’s surrounding islands to celebrate a dreamy wedding with loved ones. The sunny climate grabs their attention first, and then the seaside resorts or big cities like Madrid or Barcelona become the main attractions. These couples, mostly from the UK, Germany or Switzerland, are cosmopolitan couples that love to travel and would want nothing less than to tie the knot abroad, with Spain being top of their list. Well, we have prepared a list of the best wedding venues and locations for a destination wedding in this diverse nation. Think luxury hotels and resorts with amazing facilities and dedicated professionals trained in organising weddings of all styles and cultures. 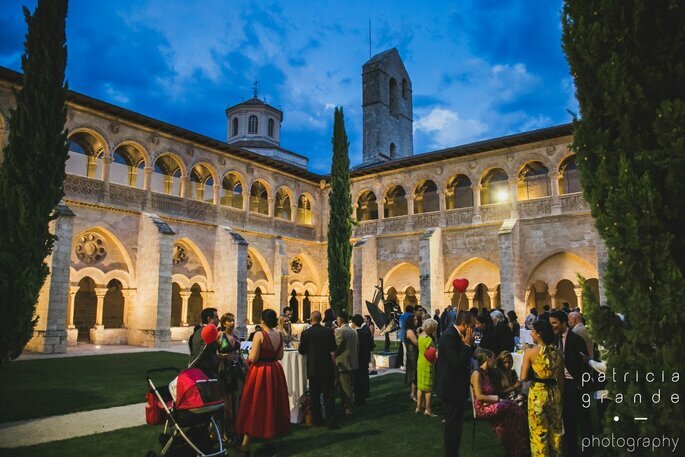 At a glance: Less of a hotel, and more of a huge, sprawling mansion located in the gorgeous Northern Spanish countryside, the Castilla Termal is a renovated monastery and boasts of a 2,000 square metre spa complex – the perfect place to relax before your wedding day! It has 79 beautifully decorated rooms to host your guests, has several on-site restaurants, and has an inclusive wedding planning service where the only thing you need provide is your wedding dress – consider everything else taken care of! 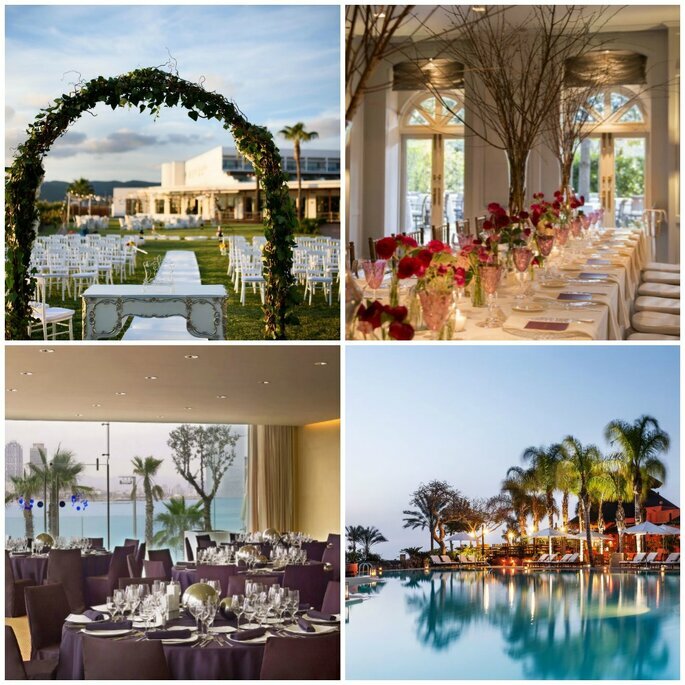 We love: You will not find a more luxurious venue this side of the Equator! And whilst retaining a sense of sophistication and style, the history and culture associated with the building itself has not been lost. Add to this the beautiful views from the terrace, and you have as close to perfect as it is possible to get. 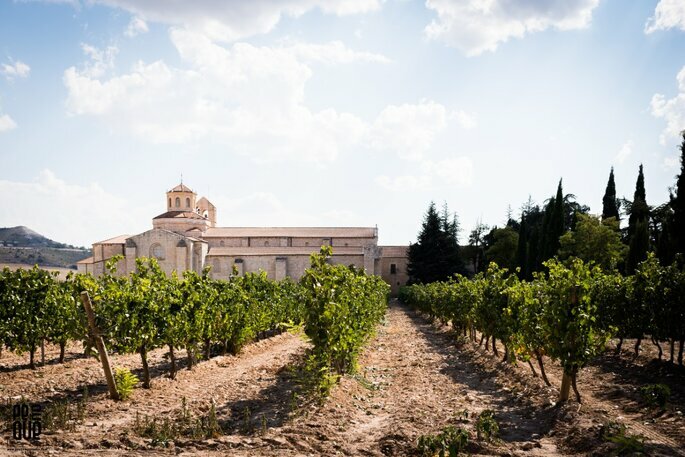 Tempted by the incredible luxury on offer with the Castilla Termal? Have a closer look at the immense array of services they offer here. Where: Calle Playa d’en Bossa, Sant Jordi de Ses Salines, Ibiza. Capacity: Up to 400 guests. At a glance: This hotel is located just at the foot of one of the most impressive beaches on the island. 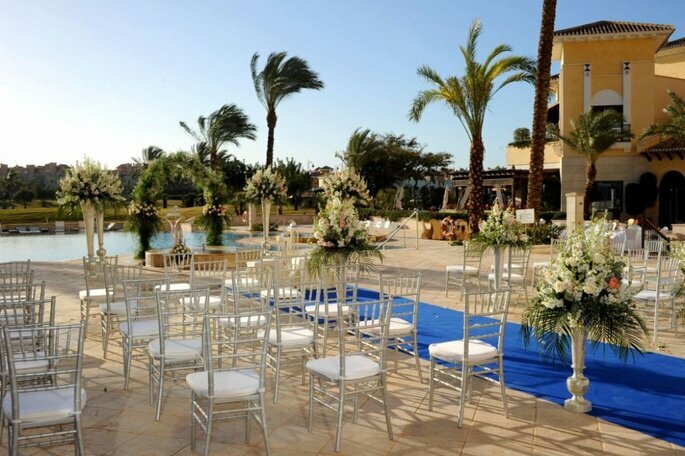 Furthermore, its gardens are surrounded by palm trees and colourful flowers, which makes, without a doubt, the perfect scenery to frame your special day. To this stunning natural landscape they have added comfortable and modern facilities to suit your every need. 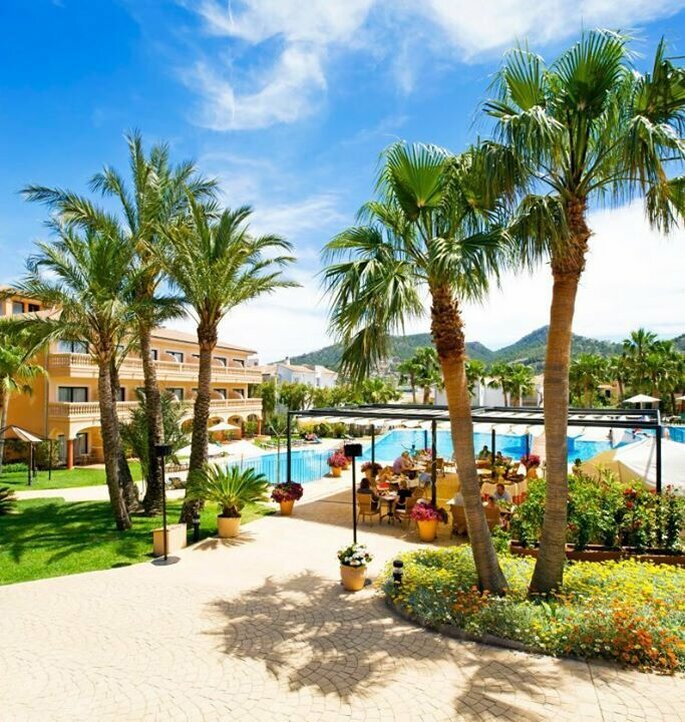 We love: You can enjoy direct access to the beach, swimming pools and other services such as a spa or hairdressers. The professional team at Grand Palladium will advise you from start to finish so that you can achieve the wedding of your dreams with an unrivalled Ibizan backdrop. 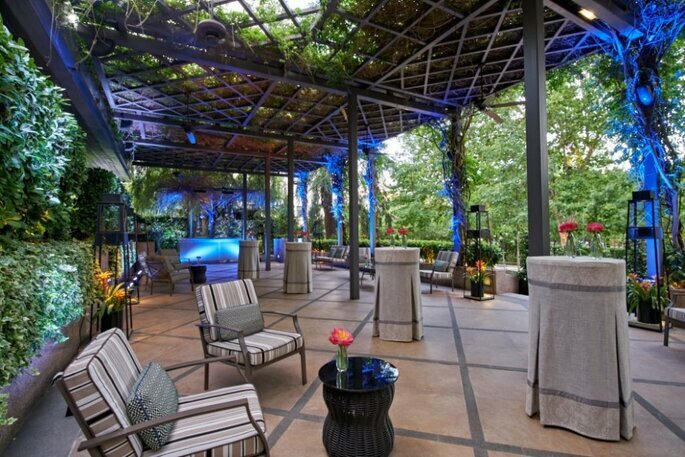 At a glance: A chill out terrace in which you can have an artistic, alfresco wedding that will impress all your guests. You can accommodate yourselves and the whole party with bright and comfortable rooms. We love: The modern decoration and amenities will add a special touch to your day. Also, the catering service is of an award-winning level with a professional team that always seek to create new delicious dishes with the finest ingredients from the island. Like what you see? Check out the Hard Rock Hotel Ibiza. Where: Avenida de Fred Olsen, 1, in Arrecife, Lanzarote. At a glance: In their facilities there is a perfect blend of modern and traditional. The service of their wedding planning team is flawless and they understand the importance of even the smallest of details. Here you can celebrate either a civil ceremony or a religious service. We love: They offer a variety of dishes and personalised menus that can be adapted to your tastes. This hotel is one of the best in Lanzarote, situated on the magnificent El Reducto beach. Where: Calle Edgar Neville, Banus, Marbella. Catering: Available from their own catering services. 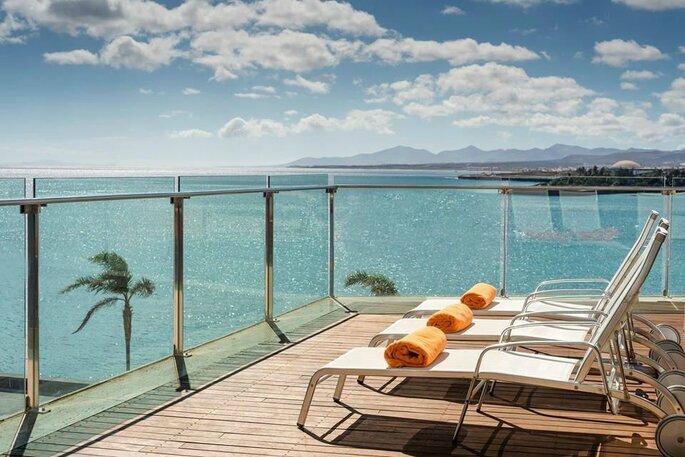 At a glance: Think spectacular sea views, since this hotel is located close to the famously stunning Puerto Banús. 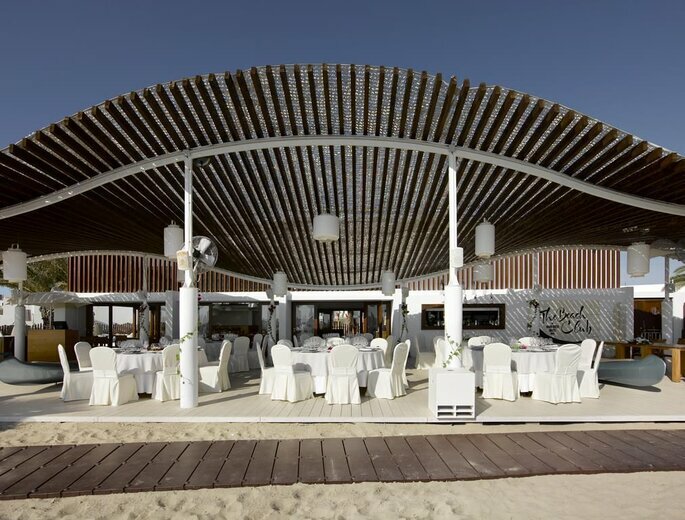 Here you have the option of celebrating with a romantic beach ceremony, but you can also enjoy the crystal glass room for a delicious indoor banquet. 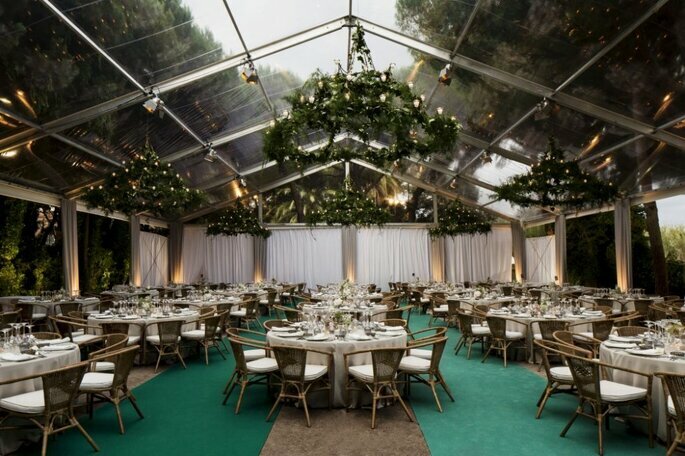 We love: Among their services, you can count on a complete coordination of the event: table plans, decoration, itinerary … they leave nothing unplanned. They also only schedule one wedding per day, meaning you have all the exclusivity you deserve for an unforgettable day. Where: Cala d’Egos, Port Andraitx, in Palma de Mallorca. Capacity: up to 180 guests. At a glance: this hotel has a privileged location, set between glorious mountains yet still being close to the glistening Mediterranean Sea. 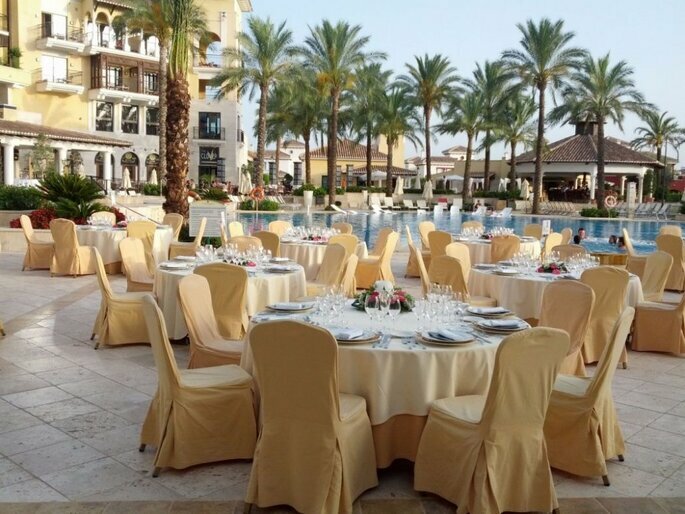 It’s an imperial country house inspired by Mallorcan style with various halls available for you to celebrate your wedding, all with beautiful and carefully selected decoration. 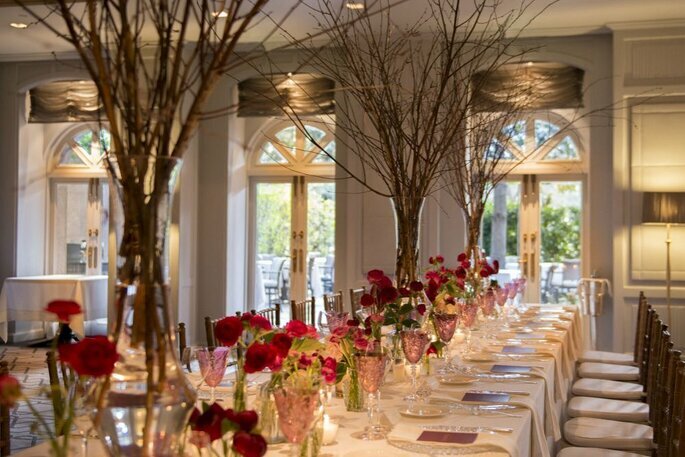 We love: Not only does this venue has a beautiful exterior, inside also boasts elegant and sophisticated details for a unique touch. Its cuisine will surprise your guests, as they achieve a perfect fusion between the traditional and avant-garde. Like what you see? Click here for more information. Where: in the Urbanización Arena Beach, carretera Estepona Cádiz, km 151. At a glance:This hotel is located on the beachfront, surrounded by beautiful landscapes. It has a range of luxury rooms that can be adapted to the number of wedding guests. 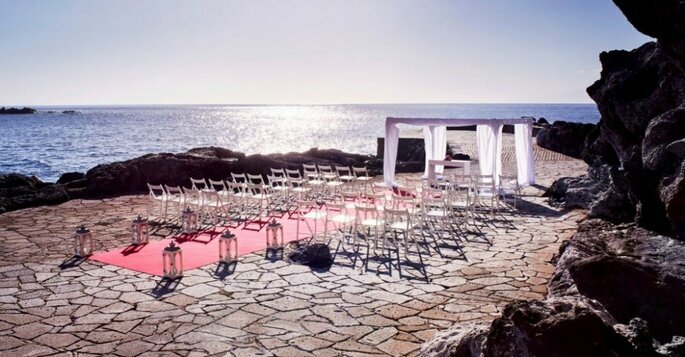 You can tie the knot on its terraces, for an outdoor banquet with spectacular sea views. 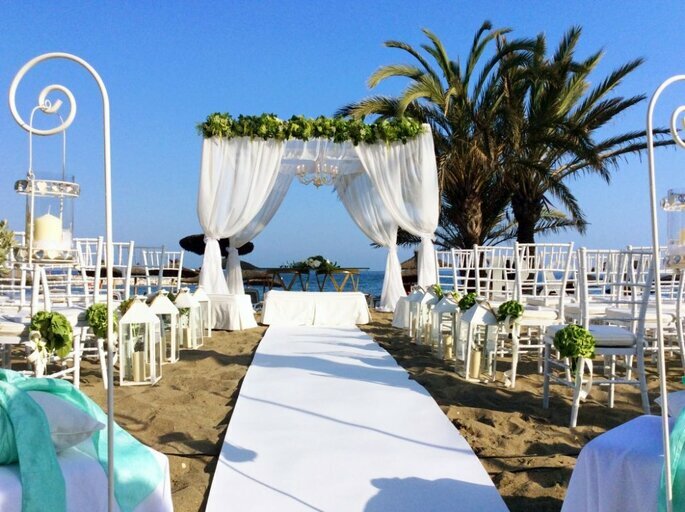 We love: The professional wedding team at Elba Estepona offer additional services such as transport rental, live musical entertainment and even firework spectacles. Whatever the case, they’ll accessorise your wedding so that everything runs perfectly with unexpected surprises. 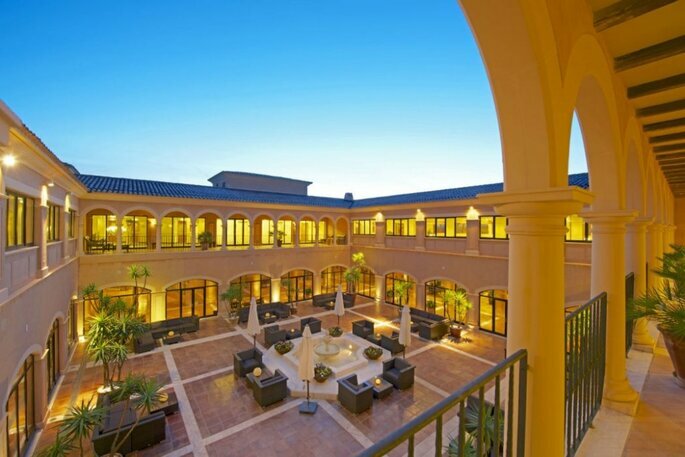 Want to see more of Elba Estepona Gran Hotel & Thalasso Spa? Click here. Where: Plaça de la Rosa dels Vents, 1., in Barcelona. 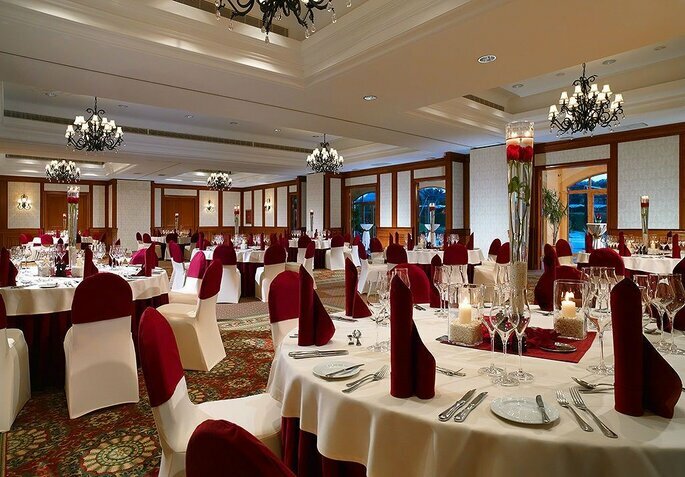 Capacity: There various spaces can fit up to 600 guests! Catering: Available from their own services, headed by renowned executive chef Jakob Esko. 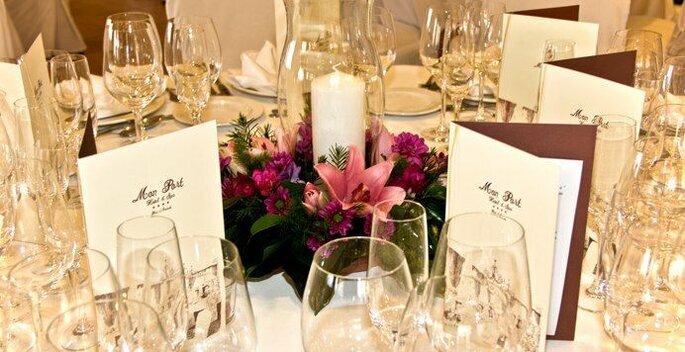 At a glance: You can enjoy complete planning help before, after and during the celebration, with a wedding planner at your disposal who is an expert in designing weddings according to the personalities of the couple. 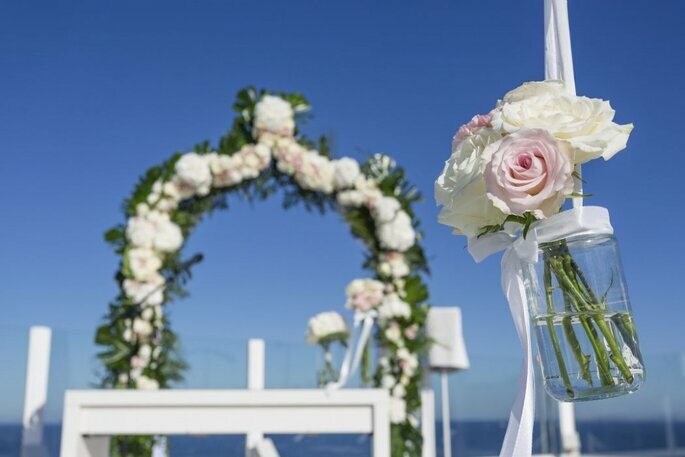 We love: their incomparable views of the sea from new heights, the location of the hotel at the foot of the beach, and overall, their specialised team that makes every wedding unforgettable. 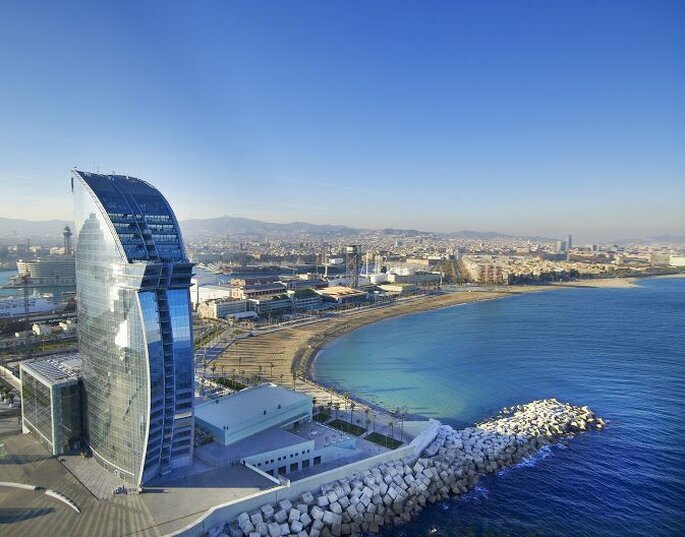 Hotel W is an iconic building that characterises Barcelona’s coastal skyline. Persuaded by its beauty? Read more about Hotel W here. Where: Paseo de Gracia, 68, Barcelona. Catering: Available from their own catering services and restaurant . 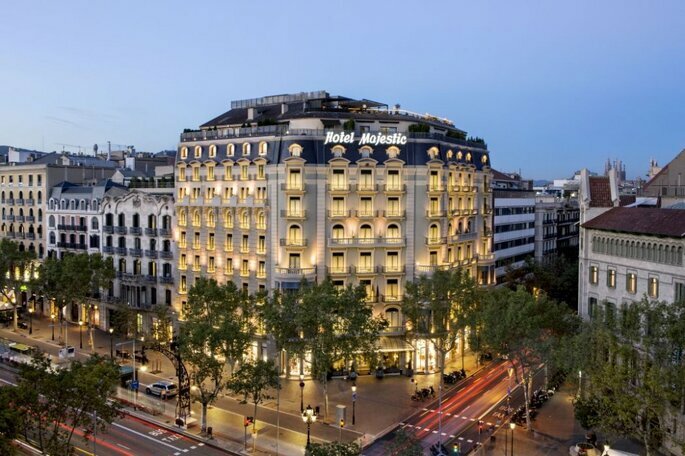 At a glance: With over 90 years of experience, the team at Majestic are experts in organising unique and elegant weddings in the heart of Barcelona. Their spaces can be made private and exclusive according to your needs, and they’ll work with you tirelessly to organise the most special and unforgettable day. We love: They’re terrace allows you to enjoy panoramic views of the Barcelona’s stunning city centre. Furthermore, their chef has created a range of delicious menus based on a fusion between traditional Catalan cuisine with a modern twist. You can even extend the celebration with their brunch or cocktail options. Have you fallen in love with Majestic Hotel & Spa? Find out more. Where: calle Ceiba, in Torre-Pacheco, Murcia. Capacity: up to 300 guests. At a glance: this hotel doesn’t only boast unique natural surroundings, but also the most exquisite menu options to treat and delight your guests. All of this is only a few kilometres away from Mucia’s glorious centre! We love: The perfect mix of various event rooms with different capacities as well as luxury accommodation with unrivalled views. Menu price per person: from 69 euros. Like what you see? Click here for more. At a glance: this hotel architecture is inspired by Arabian nights, an exquisite building formed with different levels, pools, and vegetation. With regards to decoration, discover exotic rooms with an African touch, for a truly magical event. We love: this Ritz Carlton gem is situated among 160 hectares of land surrounded by exotic trees. It’s a complex designed by architect Melvin Villarroel, with a multitude of spaces in the open air, which will allow you to host the perfect alfresco celebration. 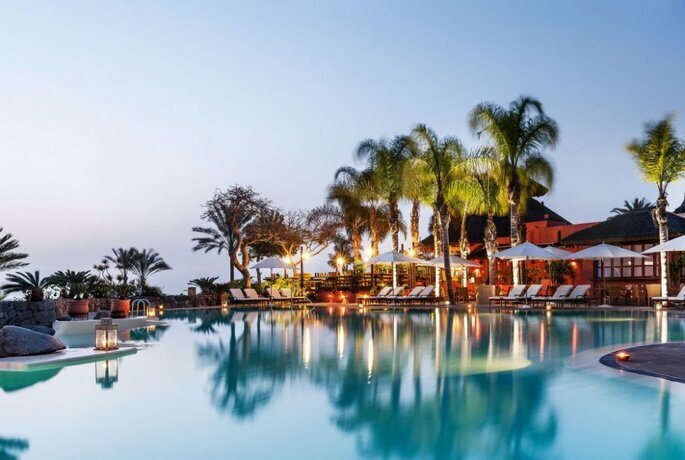 Are you dreaming of The Ritz Carlton Abama? Request more information here. Catering: available from their own services as part of a package. 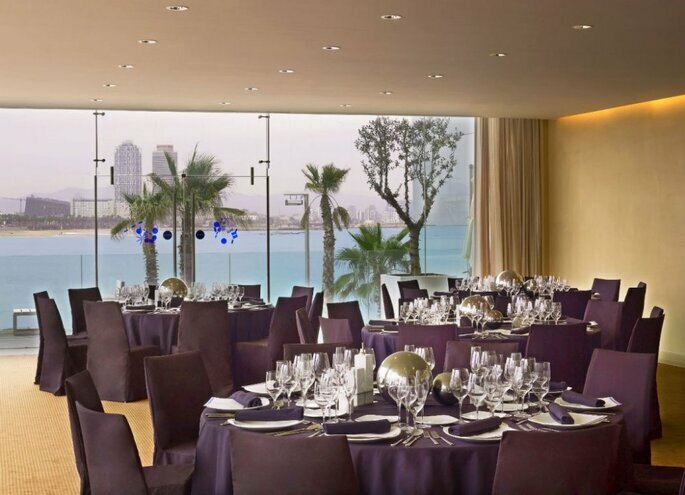 At a glance: celebrate a wedding in the heart of Spain’s capital, with the most elegant venue possible. 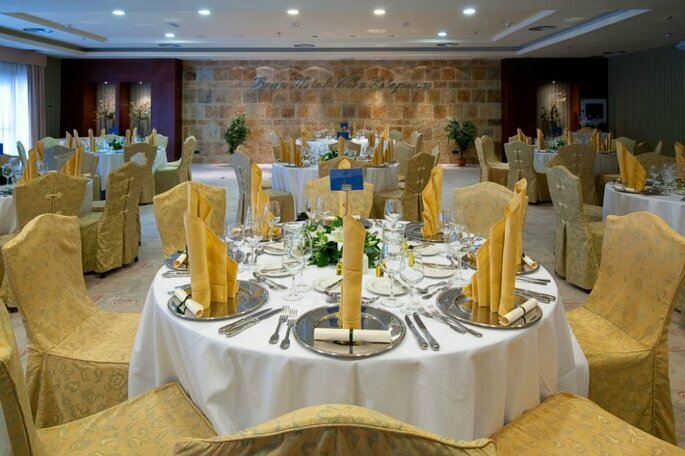 This hotel has a wide range of versatile facilities that can be adapted to any type of event. Discover various lounges, two spectacular terraces with skyline views, and also some beautiful garden. 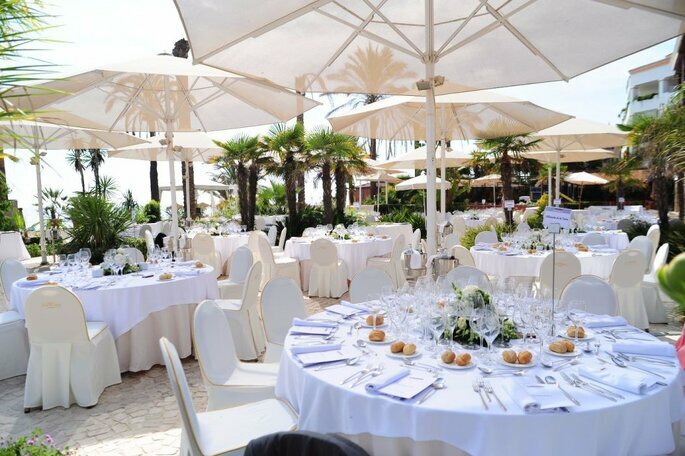 We love: the luxury, the elegance, the gastronomy and the most attentive wedding planning service. Love Hotel Villa Magna? Click here for more. Where: Llucmajor, Palma de Mallorca. Capacity: up to 160 guests. Catering: available from their own services. At a glance: this hotel is surrounded by 200 hectares of natural fauna and two golf courses. Its sophisticated and full of luxury, both in its venue spaces and accommodation. 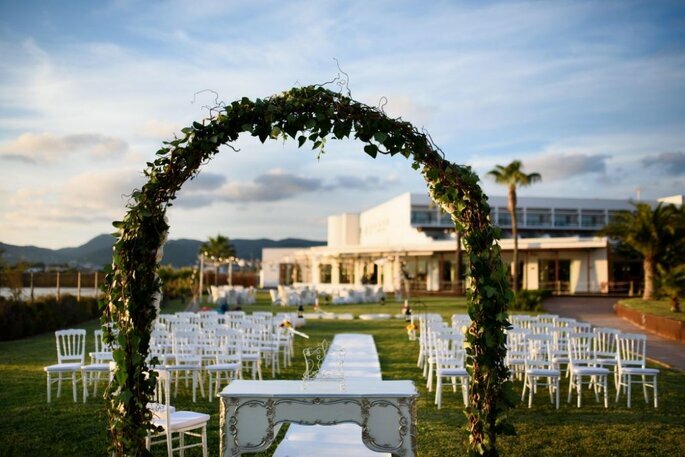 We love: in Be Live Collection Son Antem you’ll find one of the best atmospheres in Mallorca, with a professional service, great facilities and the best set up for a true celebration. A hotel designed for those seeking something extra special! Like what you see? Find out more here.